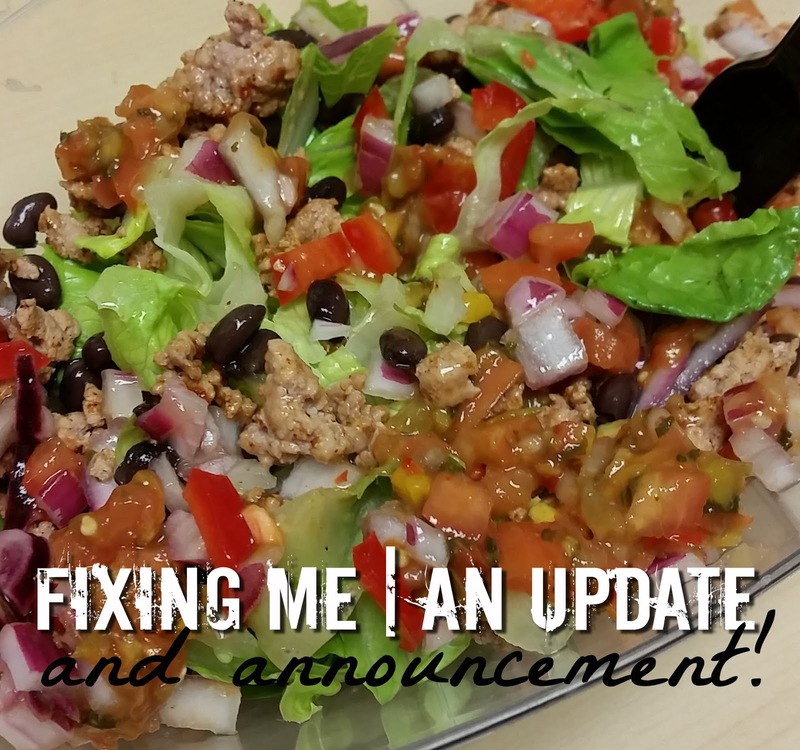 Life with Lolo: Fixing Myself | An Update and Announcement! As you can see, I've been less than perfect so far, but I never expected to be. The good news is that I AM making progress. I already feel less hungry during the day (the first few "healthy" days were torture) and it is getting easier to get myself to work out. It's all about establishing healthy habits right? They say it takes 21 days to make something a habit, so one week in I'm 1/3 of the way there! Now here's the big announcement! 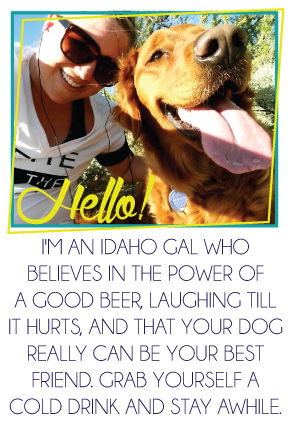 In order to help meet my goal about limiting alcohol I am teaming up with Blake over at Blake's Everyday Adventures. Her and I have talked a lot about how we struggle with drinking just "casually" and how we always over do it. Together we decided we were going to give up alcohol completely for a set amount of time and to hold each other accountable. This goal was set forth to help us both overcome our lack of self control when it comes to alcohol. Does anyone else have that issue? If so feel free to join us on our journey! Starting August 27th, Blake and I will be going cold-turkey, beer-less, champagne-less, and completely alcohol free until October 15th! 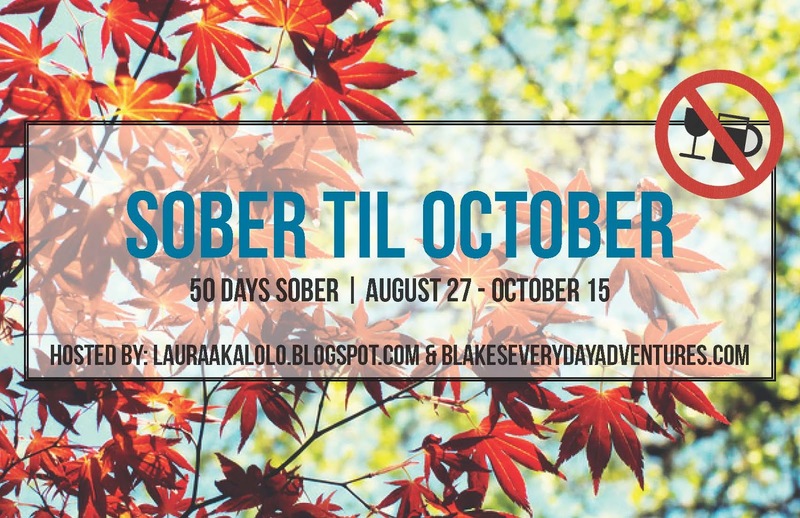 That's 50 days completely sober. So who's with us to stay "Sober 'till October?!!" Blake and I will be doing updates every Thursday about how our challenge is going and fun that we had over the weekend/week that we did soberly. Check in next Wednesday for the official kick off post with more information. If you are interested in participating, please comment below. If there is enough interest we will make it a link up - or you can just follow along with us. Cheers to the last few days of drinking for me! I have one last fling (bachelorette party) this weekend and then I'm calling it quits for 50+ days! That is ambitious! I would be in except that I have a big vacation to Hawaii the first week of September and I will be damned if I can't have a mai tai in HI! Maybe after that though! This is great! I don't really drink too much alcohol though...it's those pesky burritos and brownies that seem to end up in my stomach....how it got there, don't ask me! haha! Some progress is better than no progress- you're doing great! I'm glad to see you're making progress with your goals!! Stick with it girl!